These are the perfect live bands for corporate events, weddings & parties in the East Sussex area .... in fact any event where you want to dance all night to rock and pop hits from across the decades! 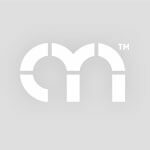 Find the best local function bands in East Sussex only at Alive Network, the UK's biggest music agency. A trio of world class musicians who have performed performed at concerts and festivals all over the world. Whether it's Daft Punk, Coldplay, Pharrell or Van Halen, this versatile band will make sure everyone's having a good time! A dynamic trio with power house vocals, dazzling choreography, crowd interaction, costume changes & energy to fill an area! Performing the very best Motown, Pop, RnB & Dance anthems, Goldess offer a unique performance guaranteed to get you dancing! Celebrations Party Band are a collective of in demand, talented, up beat energetic London based session musicians, with a track record of successful national and international live music performances, specialized in Pop, Soul, Funk, & Rock . Want help finding your perfect East Sussex function band? If you would like assistance finding the perfect live band for your event in East Sussex, simply give us a call or submit the quick enquiry form below and one of our talented entertainment coordinators will be happy to assist. Dedicated to providing you with the best musical entertainment with an energetic show and an exciting mix of contemporary chart hits and classic favourites, Feeling Good will do their best to accommodate your wishes so that you have the best experience possible. Featuring the stunning vocal talents of a 'The Voice' finalist, with a diverse repertoire of the latest and greatest hits; The Social are guaranteed to keep your guests entertained 'All Night Long'. With a fusion of effortless musicianship and attention to detail, choreographed stage show and versatile set list from the 50's to this week's top 40; Groove Legends will undoubtedly make your event an unforgettable occasion! Off The Record are a cool & lively band ready to kick start your party! With an extensive repertoire covering artists such as Chuck Berry & The Beatles to Taylor Swift & Blink 182! Off The Record will give your special event that extra oomph! 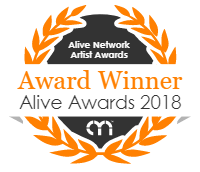 Alive Network are East Sussex's largest live music and function band agents and one of the leading live entertainment agencies in the UK. We specialise in providing East Sussex's best function bands, musicians, DJs and entertainers for events across East Sussex.